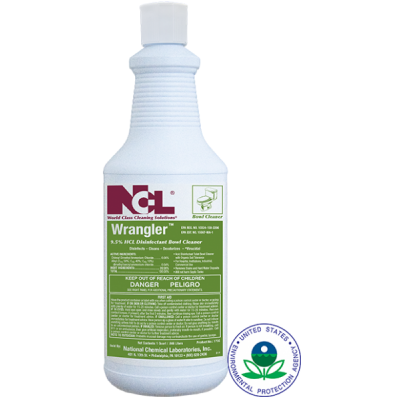 NCL Wrangler 9% HCL Thickened Disinfectant Bowl & Porcelain Cleaner - (12qts/cs) - FOUR U PACKAGING, INC.
A hydrochloric acid, disinfectant bowl and porcelain cleaner. Provides broad spectrum germ control. Detergent thickened for added clinging ability. This fast acting product leaves a Nuván fresh fragrance. Quarts are packaged with dispenser tops.